Let our qualified contractors devise a gorgeous, long-lasting, airtight design for your Wisconsin & Illinois basement. Imagine your basement warm, beautiful, and healthy for a lifetime. 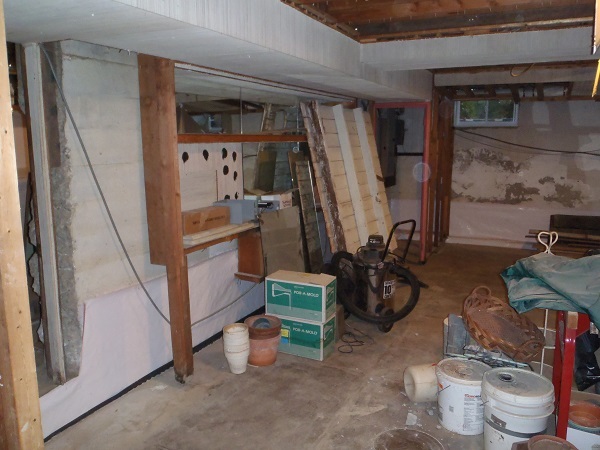 It can be a reality with the basement finishing services from Badger Basement Systems! We are a proud installer of the Total Basement Finishing™ System, which assures your basement is dry and habitable, with products that withstand moisture and mold growth. The certified products from TBF include warranties that guarantee their resistance to basement moisture. We can use these products to create a functional living space or to simply waterproof your basement for added storage space. Whatever your desire, Badger Basement Systems can install it! We offer our services in Madison, Milwaukee, Janesville, Rockford and throughout Southern WI & Northern IL. Call us today to schedule a free on-site estimate! 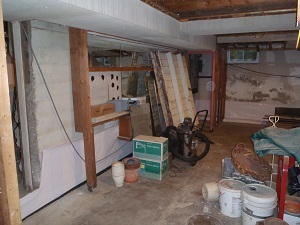 This wet, musty basement was cluttered and unusable. 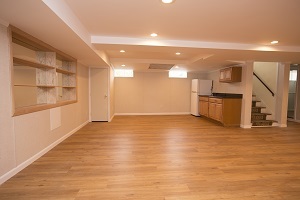 The Total Basement Finishing system transformed the basement into a dry, cozy living space. Remodeling solutions for walls, floors, ceilings & more! 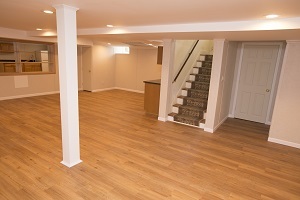 The Total Basement Finishing™ System is a comprehensive basement finishing method. We offer a mixture of basement remodeling products, including wall panels, flooring, ceiling tiles, as well as other solutions like windows. No matter your home climate, our water-resistant products are designed to withstand all kinds of basement environments. Additionally, the versatility of this basement finishing system guarantees that you have full creative control of your below-grade space. Add an extra bedroom, living space, game room, or mount a TV on our studless basement walls and design an entertainment room! We want to assure your basement finishing system is reasonably priced and that we provide you with exceptional customer service throughout the entire process. Call 1-844-225-3694 or click below to schedule your free estimate in Madison, Milwaukee, Janesville, Rockford, La Crosse, West Allis, Racine, Waukesha, Eau Claire, and nearby in Wisconsin & Illinois today!